March 16, 2018 (Tony Cartalucci - NEO) - As the West rallies around recent allegations by the UK against Russia regarding the alleged poisoning of former Russian military intelligence officer-turned British spy - Sergei Skripal - it is crucial to point out the alarming lack of actual evidence involved. 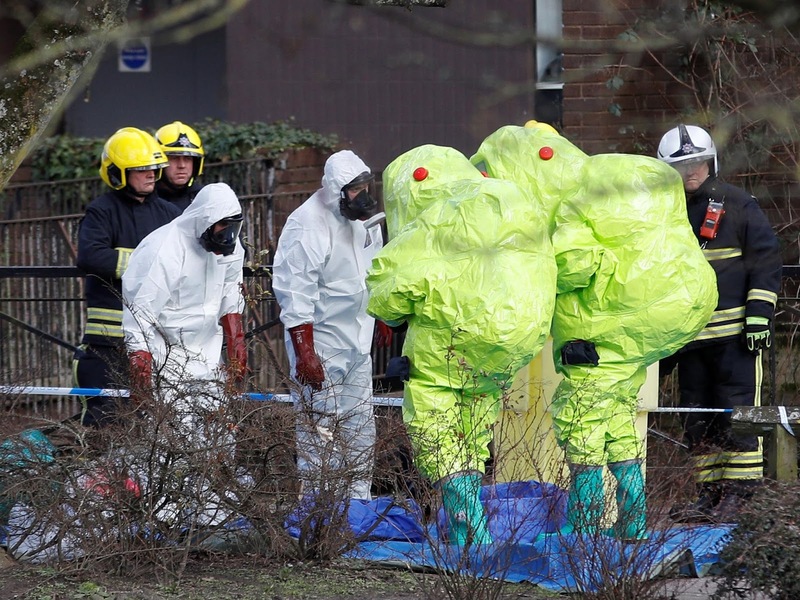 The alleged poisoning of Sergei Skripal in Salisbury, UK on March 4 led to a lighting-fast escalation with Russia. Not even two weeks after the attack, UK Prime Minister Theresa May declared a deadline for Russia to provide an "explanation" for the incident the UK had squarely blamed on Moscow. The Kremlin's explanation was simple - it had nothing to do with the attack. Russia also offered to aid in the investigation, requesting samples of the poison used in the alleged attack. However, the UK failed to produce any samples of the alleged poison - a Soviet-era nerve agent known as Novichok - either to the Russians to examine or to relevant international organizations as required under the Chemical Weapons Convention. 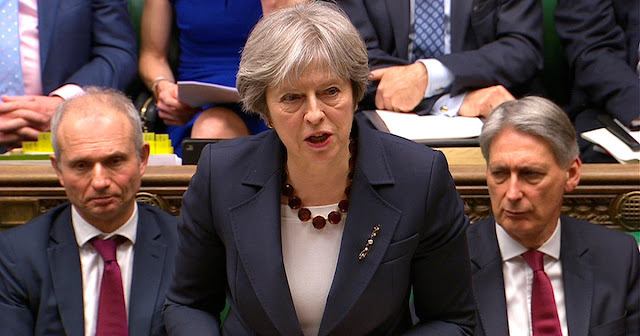 The UK also failed to explain why Russia would have carried out such an attack - or how the UK could have confirmed the use of Novichok agents without first possessing samples of the agents themselves. If the UK possessed Novichok agents to compare samples taken from the attack with, the entire rationale of accusing Russia because it is supposedly the only nation in possession of the agents is revealed as entirely false. US, UK Certainly Have "Novichoks"
The fact that the alleged creator of Novichok agents - Vil Mirzayanov - fled to and currently lives in the United States suggests the West has both knowledge of and the means to create Novichok agents themselves. The UK's presumption that "only Russia" could have produced the agents when the creator of Novichok lives in the United States - and British labs clearly have access to the poison - is at face value contradictory and dishonest. In the lead up to the 2003 US-led invasion of Iraq, the Western media sold the global public tales of "weapons of mass destruction" (WMDs). We know that Saddam Hussein is determined to keep his weapons of mass destruction; he's determined to make more. Given Saddam Hussein's history of aggression, given what we know of his grandiose plans, given what we know of his terrorist associations and given his determination to exact revenge on those who oppose him, should we take the risk that he will not some day use these weapons at a time and the place and in the manner of his choosing at a time when the world is in a much weaker position to respond? Yet upon the US invasion and subsequent occupation of Iraq, none of these supposed weapons of mass destruction were found. Eventually the US and UK incrementally began admitting to fabricating evidence, "sexing up" dossiers, intentionally citing unreliable sources, and misleading their allies and the world. Everything he had said about the inner workings of Saddam Hussein's biological weapons programme was a flight of fantasy - one that, he now claims was aimed at ousting the Iraqi dictator. The Independent - however - stretches credibility by claiming al-Janabi "duped" the US. The same Independent article would admit that al-Janabi was never even in contact with the US directly despite the US basing its entire UNSC presentation on his claims. The lack of due diligence in confirming al-Janabi's admitted lies doesn't suggest a concerted attempt on Washington's part to ascertain the truth, but a cynical and intentional attempt to conceal it. 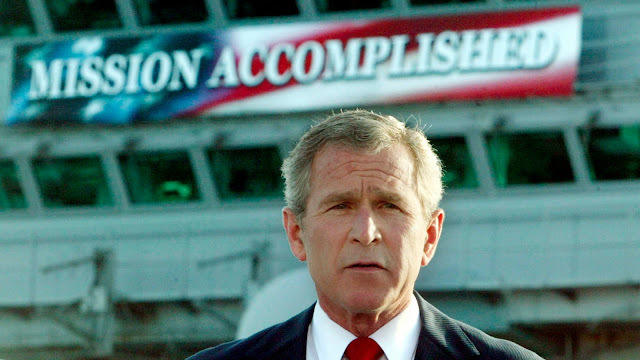 In hindsight, even then US President George Bush admitted there were no weapons of mass destruction. 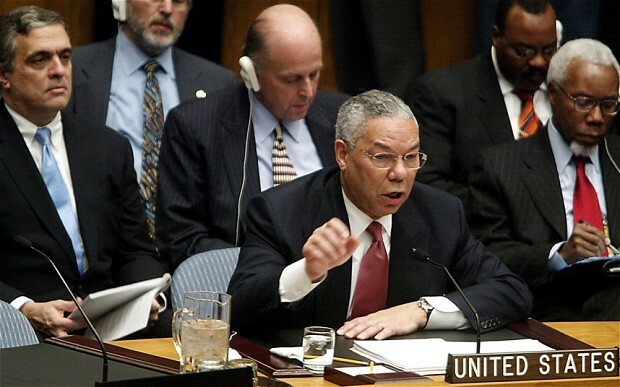 President Bush attempted to blame faulty intelligence, but as the Powell-al-Janabi connection - or rather - disconnection reveals, there was never any intelligence to begin with - simply fabricated lies. Who Will Play Powell, Bush, and "Curveball" This Time? This brings us back to the Skripal incident. The accusations of the British government already aren't adding up. Considering the lack of actual evidence the UK has provided and the British government's verified history of fabricating claims regarding the use of WMDs to advance it and its allies' geopolitical agendas - the burden of proof never rested upon Russia. In the hindsight of whatever course of action the UK and its allies decide to take in the coming days, weeks, and months based on the Skripal incident, who will play the role of "Curveball" who supposedly duped Theresa May in making her Powell-style accusations before declaring her Bush-style retaliation? And considering the ramifications for the West regarding its lies in the lead up to Iraq and the fallout the West has faced in the aftermath of Iraq's destruction, what do Western policymakers expect to gain from an incident many times more transparently staged and self-serving against a world increasingly skeptical of their claims and actions? Still, the accusations are serious and the prepared responses from the West will assuredly further endanger global peace and stability. That the alleged attack took place on British soil means that - unlike in Syria - there is no UNSC the West must pass through before taking matters into its own hands. This fact alone - following years of frustration in the face of Russia's veto power upon the UNSC in regards to Syria - makes the nature of the Skripal incident even more suspicious. The UK appears to have a pretext and a clear path toward escalation before it - how far it and its allies are prepared to go remains to be seen.